Steve DeAngelo’s new book, titled “The Cannabis Manifesto,” hit store shelves on Tuesday. The mostly autobiographical work focuses largely on the social justice side of reforming marijuana laws, but there’s a host of insight and advice that cannabis business owners can glean from its pages. 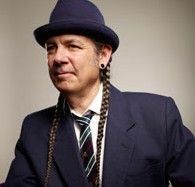 As a longtime businessman and co-founder of multiple marijuana businesses – including Harborside Health Center, the ArcView Group and SteepHill Labratory – DeAngelo shares a trove of lessons and advice for those in nearly every aspect of the industry, from dispensary managers to testing lab directors to lobbyists working with government officials on cannabis regulations. Marijuana Business Daily spoke to DeAngelo recently about his new book, California’s medical marijuana regulations and the impact of the 2016 presidential elections on the cannabis industry. What is the main takeaway from your book for entrepreneurs and business owners? I hope the main takeaway is as we build this new industry, we should be building not just a new industry but a new kind of industry, one that reflects the lessons that cannabis teaches us and the values that have been developed over our 40- to 50-year struggle to legalize. You seem to suggest in the book that having caps on the number of cannabis shops in a given state or city is a good thing, as opposed to having an unlimited number of businesses, like in Colorado. Why do you feel that way, and would you propose caps on the number of businesses in all markets? I was really talking about caps as a way of straddling a political divide, rather than as a policy position. You often face political situations where agreeing to a reasonable cap is a way of getting some form of regulation passed. Sometimes it’s better to accept a reasonable cap than it is to end up with no regulations at all. You also discuss your push to get Harborside Health Center’s cannabis as close to organic as possible. Pesticides and testing have been in the headlines a lot recently regarding legal marijuana. Should production quality be a priority for commercial growers, and how can that best be accomplished? I think product safety should be a priority. In terms of product quality, we need to let the market sort that out. There’s going to be producers who are going to focus on efficiency and lowering costs, and they’ll be able to deliver consumers a lower-cost product that may not be as high quality. That’s a decision for the market and for each individual player to make, as to whether they want to focus on high quality or low price or some combination. California is poised to adopt statewide regulations on the medical marijuana industry. How do you expect that will change the business landscape for the state? It’s going to change the landscape quite radically. It will replace the current non-profit system with a profit-making system. It will replace the current closed-loop situation – which really translates into vertical integration – with a segmented supply chain. Cultivation has been set at, in my opinion, very low limits. Farmers are prohibited from selling directly to retailers or to manufacturers. They cannot do farmer’s markets or farm-to-table or bud and breakfasts. Dispensary operators, if they’re vertically integrated – which many are because of the closed loop situation – are limited to having a total of three dispensaries. Investors are only allowed to invest in one licensed cannabis company in the entire state. Cutting to the shorthand, these regulations would make success illegal in California. Do you expect many existing MMJ businesses in California will be able to successfully make the transition to the regulated market, or should we expect to see many die off and new ones take their place? It’s really difficult to predict the amount of attrition that we’ll see. Hopefully that will be kept to a minimum. But there’s one provision in the regulations that is going to take out a great number of people who should absolutely not be taken out, and that’s people who have felony convictions for cannabis crimes. As the regulations are currently written, the default position for anyone with a felony conviction is that you will not be able to be licensed. The only way to overcome that would be for the licensing authority to engage in an expensive and lengthy review process to clear the applicant. And knowing what I know of bureaucracies, that licensing authority is very unlikely to engage in that process on a regular basis. So thousands and thousands of people, like myself, who currently are in the industry in California who have felony cannabis convictions would be completely excluded. If this goes forward as planned, how would your role with Harborside change? Or would it change? Hopefully it wouldn’t change. I would apply for that review process. I think, given our track record of 100% compliant operation for almost the last decade, that I would probably be cleared in that review process. But I’m an influential and visible public figure. So the rules that would apply to me would not be the same rules that apply to other people, particularly people of color. Do you expect California voters to legalize adult use cannabis next year? I don’t think just putting an initiative on the ballot is going to guarantee that it passes. We did that in 2010, and we lost because of a lack of unity in the cannabis community. Provided we stay unified, provided that the whole community can get behind one initiative, provided that we don’t have three or four or five dueling cannabis campaigns, I think we’ll win. But unfortunately, at this stage in the game, it’s not clear that that degree of unity is going to be preserved. Could the industry be in trouble if a Republican gets elected to the White House next year? I don’t think the industry is necessarily in trouble if a Republican gets elected. It really depends on which Republican. One of the really heartening things that we’ve seen in the past few years is a lot of support from the Libertarian wing of the Republican Party, from guys like Dana Rohrabacher and Rand Paul. I think there’s a strong sentiment in the Republican Party to allow states to pursue their own cannabis policies, so I think if we get a Republican who has a strong commitment to states’ rights, I think we’ll be in good shape, at least at the state level. If we get somebody like Chris Christie, obviously we’re going to have a battle on our hands. It would help us a lot to have Bernie Sanders for the next president. We need to vote for him. Also, Lt Gov Gavin Newsom would help things a lot too as the next governor in California. With these sorts of people in power, all new law details would be freer to keep improving. We note that there is a constant stream of new legislation to improve access and use of this plant everywhere such progressive people are elected to office. The biggest block that must be ended is the ridiculous Fed position. Then all progressive leaders can move ahead to much better law more freely as well. I appreciate all Steve has done for the movement but his position that we should regulate limits on numbers of dispensaries for polo all reasons seems a bit suspicious considered his business has sought and received licenses in other states. I’d probably want limited competition too if I was running around the country opening dispensaries. Competition is needed even in this industry.